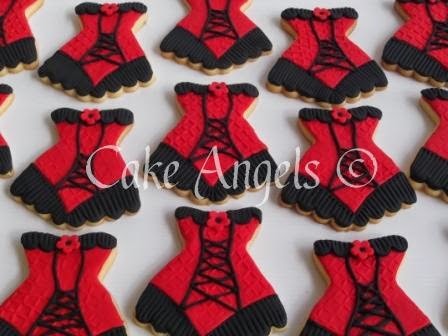 Some Black and Red Corset Cookies for a Spanish themed Hen Party. A bit of lace and some frilly bits and Ole! Just perfect!